Riadh MANITA is an Associate Professor of Accounting and Audit at NEOMA Business School. He holds a Ph.D. in Accounting, control and Audit from University of Franche comté (2005) in France and a Chartered accountant's diploma from ISCAE Tunisia (2000). 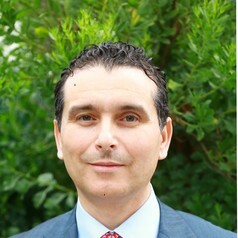 Before joining academica, he worked as auditor, manager and Senior manager in several Audit firms in tunisia and France (Arthur Andersen, sccachi et associé, KPMG). He has published several academic papers in international refereed journals including m@n@gement, Journal of Applied Accounting Researche, Annals of Opreation Research, International Journal of Business, Gestion 2000. He has also published several professional papers essentially in “Revue Française de Comptabilité” (CPA Journal in France). Dr. MANITA is also a co-author of several books and he has published several book chapter in accounting and audit in particular with Nathan, De boeck, Hermes et AFNOR.